Professors often give vague writing prompts when a big end of the year paper is due. This is usually so that you won’t feel pigeonholed to a topic and so that you have some creative freedom in writing process. For students, though, this doesn’t always translate to a fun time. In fact, the endless possibilities sometimes end up hurting students more than it ends up helping them. This doesn’t have to be your reality though. You can create great papers, even when your professor’s prompts are less than helpful. Today’s blog post is going to show you how to turn a vague prompt into a crazy amazing paper. Okay, so I know this seems like a bit of a no-brainer, but you’d be surprised how many people just don’t read the prompt. Take a few minutes to sit down and completely grasp the prompt you are tackling. Highlight or underline what the professor is looking for. Professors don’t always give rubrics, but if you sit down and look at the paper prompt you can usually come up with your own rubric. Take note of the due dates. You need to be aware of the due dates associated with your paper. Especially if this is a semester-long project, there may be many due dates along the way. Keep reading the prompt: I know, crazy idea right? Well, hear me out, keep reading the prompt. Sometimes we read things, but we don’t really comprehend them. Our brain might skip over things because we think we already know what it’s going to say but we don’t. You’d be surprised what the brain does sometimes. You need to read your prompts more than once. Read them as many times as you need until the prompt makes as much sense as possible. You never know if an answer to a question you have is right on the prompt. Be sure to list questions you have as you read. If you do have questions. make a list of them after you have given the prompt a once over. Then you can go back and look specifically to see if you just missed the answer to the question, or if you actually need to go ask for an answer to the question. I hope those first few points were helpful as you take the first step towards owning your next paper. This is not something that I suggest as often as I should, but I adore timed brainstorming sessions. Sometimes when I am getting low on blog post topics or I am not sure what I would like to write about as far as school work goes, I do a timed brainstorm session. So, how does this work? 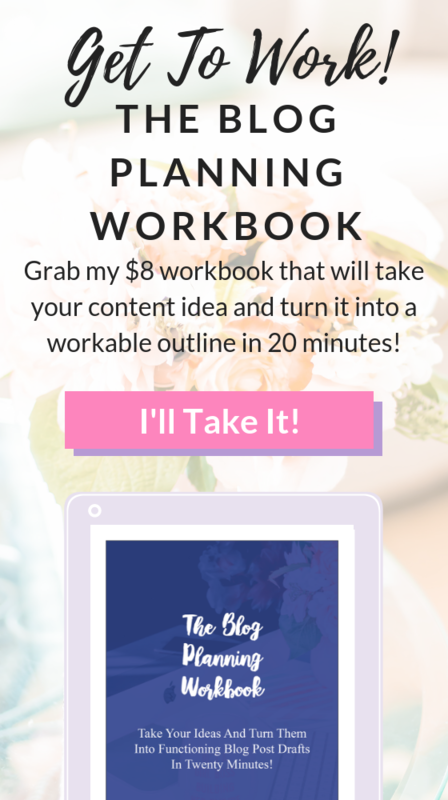 You basically take out a sheet of paper/notebook, pick a general topic or concept, set a timer for 5-10 minutes, and just write for the length of that time. You don’t think about all the other stuff happening. You don’t erase if you repeat an idea. You just dump all of your ideas out on a sheet of paper, even if those ideas are chicken scratch and meaningless. Then you go back and look at your brainstorming session to see exactly what you can salvage. There is a chance you won’t get anything from this session, but there is also a chance that you will have your next paper topic in that batch. I love this when I need a burst of creativity and I just need to start thinking about how to tackle a topic or a paper. I highly suggest getting a cute notebook to keep all your time brainstorming sessions in. I encourage you to do this because it will allow you to look back at your past brainstorming sessions when you inevitably get another vague paper prompt. Why do all your work over again, if you have already done a timed brainstorming session that relates to your current class. If timed brainstorm sessions aren’t your thing, remember to always keep your phone or a notebook within reach. I get ideas for papers/blog posts/and everything in between pretty consistently. You never know when something as small as a dream can help you decide what you would like to write about for a paper. I always have a notebook near my bed for this exact purpose. While you are researching your topic you want to be able to quickly skim the articles and books you have found. I have written two lengthy posts on skimming articles and skimming academic books so that you can get right to the point and understand what you need to look at when you are reading. You shouldn’t need to read the entire article or book to grasp the concepts inside it. I know that your professor probably asks during class if you have any questions, but don’t ask your questions during class. Well, if you have a complex question that is. Complex questions, in my humble opinion, are better left for office hours. So, if you want to ask your professor about the due date, definitely ask that question in class. If you have a really complex question that involves an answer that is longer than a paragraph, go to their office. This helps you. Asking questions in class can be really hard. Your professor may have to answer the question so quickly that they can’t go as in-depth as they’d like. This may end up leaving out a lot of the answer and leaving you feeling more confused than helped. This helps your classmates. Trust me, your classmates are listening to the professors rambles just like you. If you are getting confused, chances are your classmates are too. Plus, if they feel like they have a handle on things already they may get annoyed that class time is being spent helping one student on their research paper. On the other hand, if your professor sets aside time in class like an entire class period to answering your questions, of course, ask away. If you get confused from that session, you may still like to go to office hours for clarification though. Chances are, if you are truly stuck, five minutes of class time where you cannot be one-on-one with the professor is not going to help unstick you. Bite the bullet and head to the professor’s office hours for individualized attention. If you have ANY preliminary information, come to the office hours session with that information on hand. Share with them some of your thoughts on the topics you are considering, share any preliminary research you have done, and come prepared with specific questions about what you find confusing about the prompt. The more specific you are, the easier it will be for your professor to help you with your paper. Pro Tip: Never go to your professor’s office hours saying you need help with EVERYTHING. This won’t get you far. Come with a specific list of questions that you and your professor can go through. Once you have reached out to your professor the first time, you need some time to focus and re-group. Before you meet your professor the first time, you need to make adjustments and progress. Write a preliminary outline or write an introductory paragraph that touches on all the parts you want to hit in the paper. This will give your professor something to help you with that’s not just abstract talking points. Give your professor something solid to help you with. 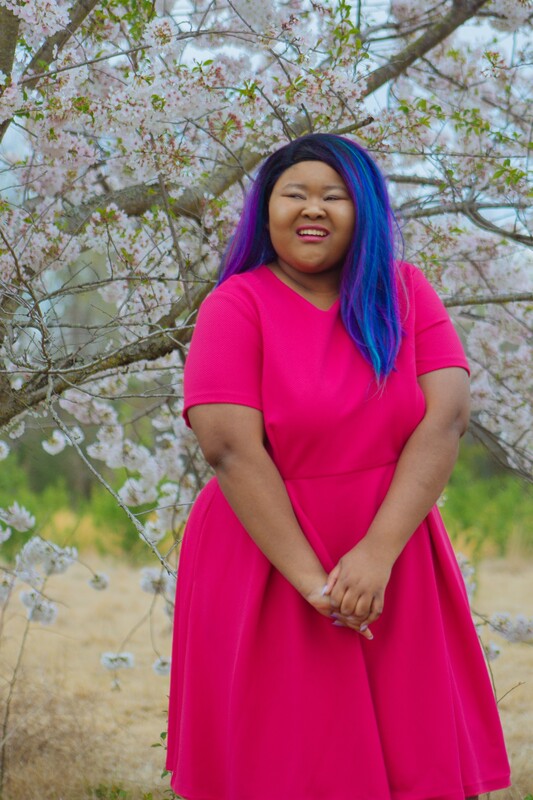 I have written an awesome article all about how to write an amazing introductory paragraph so use that as a guideline to help you write a paragraph to bring to your professor. The reason I think you should bring an outline or an introductory paragraph to your professor is because it is a small token, gives them something to work with, and doesn’t waste too much of your time in case they don’t see the value in your paper idea. Even though broad prompts are extremely frustrating to students one of the reason that professors give such broad prompts is because professors want originality. Grading papers is an extremely tedious task, and sometimes getting the same paper over and over makes the process more annoying. Having your topic handed to you can be easy for the student, but it can also be painful because you are forced to research topics that you don’t care about. Prompts that are too vague and too specific have their own faults. Your professor knows that you are still learning how to write a paper correctly. When the prompt is vague it also usually accompanies project approval. If it doesn’t, meet with your professor to make sure that your paper has a solid base to work with. Your professor wants just enough stress on this project to make it a worthwhile endeavor, but not so much that it causes you to have major issues. Reach out when you need to so you don’t become an originality guinea pig. I know that you are capable of amazing things and that you will crush the paper that you have coming up. Right now, a paper with a vague prompt seems like the worst thing that could ever happen, but I promise with a little hard work, dedication, and visits with your professor you can craft a paper that meets and exceeds the expectations of the pickiest professor. You have all these tools and tips at your fingertips lovely. Don’t waste them. I hope that you enjoyed this blog post. It is possible to create great papers even when your professor gives you a vague or broad prompt. 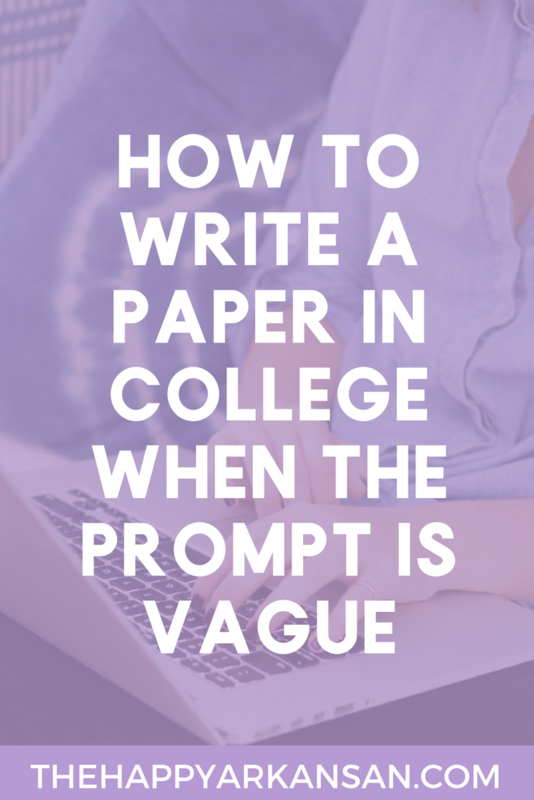 I would love to know how you personally deal with an assignment with the prompt is too vague, Leave your thoughts in the comments below so we can continue this conversation. Writing a paper is hard, especially when the prompt is vague. Check out tips from @happyarkansan to make it easier.